be a row of shrubs that may benefit from adding more plants. I have a thicket at the end of my city backyard. The bird feeders at located here. 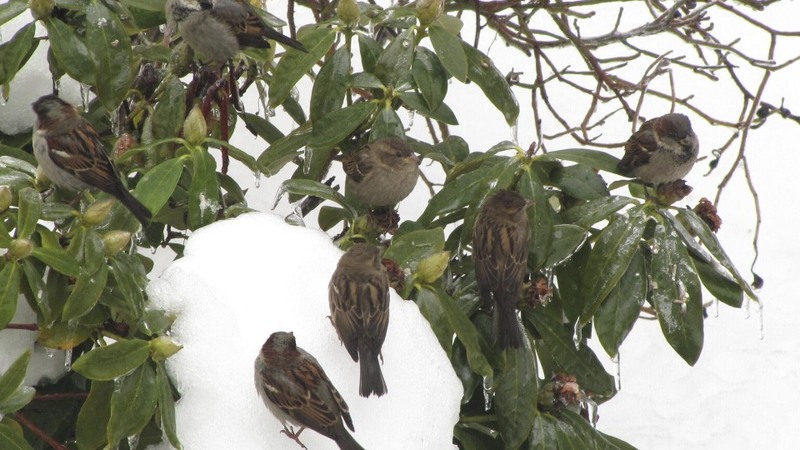 The birds are hopping around Pokeweed stalks, rhododendron bush. I trim the scraggly stalks to keep it neat. In summer there is luxurious growth, shade and hiding places. thicket provided their only cover. I couldn’t tell if the hawk was successful or not. 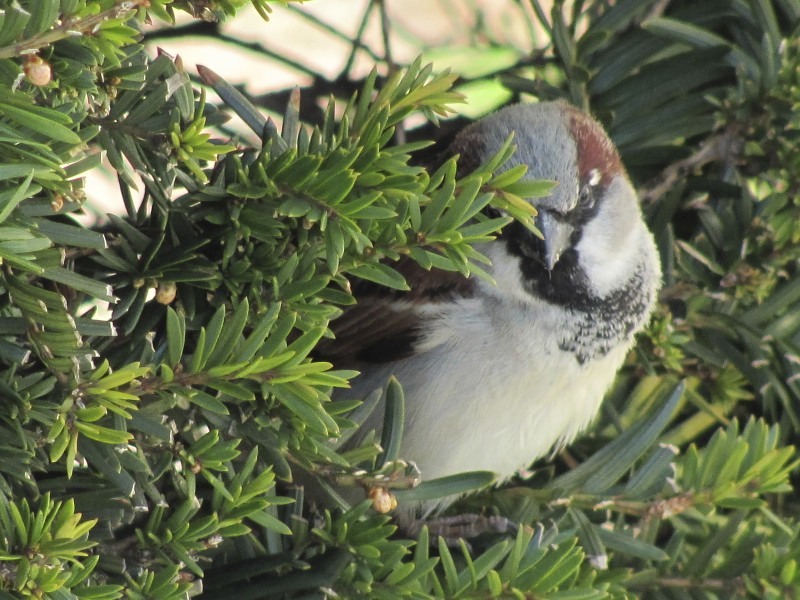 But, I am sure many sparrows were glad the thicket was there. The plants in my thicket include Baptista australia (butterfly host plant), Rosa Virginia native rose with plenty of rose hips), Joe-pye weed (butterfly nectar plant )and Daisies ( a favorite of mine and many bees). thicket, waiting their turn at the feeders. As they are waiting they eat the dark purple berries off the Pokeweed plant. My thicket sounds great but I didn’t plan it. At first I called it a “mess” but then realized how much the birds used it. Then I bestowed dignity but naming it a “thicket” and that it was part of my backyard habitat management plan. These plants can be trees or shrubs. Shrubs are great plants for a thicket. You can strengthen an existing shrubby area or create new ones. Trees add nesting sites as places for birds to raise young. far less useful for animals. Plant both evergreen and deciduous. If you live in a natural desert out west, choose desert plants. Ecology guides that describe an area’s ecosystem are always helpful. When walking through natural places, parks and refugees, see what grows naturally. Natural parks and preserves often have list of plants and the staff can offer suggestions. You may want to focus on plants and trees for butterflies, birds or insects. There are many possibilities. And plants can be moved if your change your mind. Also a good idea to check what you see growing “natural” to determine if it is also a native species. Often what looks natural is an invasive. Yes, a natural species are better. Here is a list of trees that provide cover and are native.